High Fidelity was published from April 1951 until July 1989 covering audio and high fidelity audio equipment, FM radio, FM stereo, video equipment, audio recordings, and related fields. 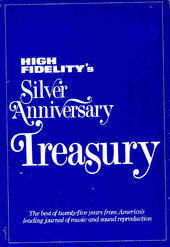 In mid-1989, the title was acquired by Stereo Review, which began adding "Incorporating High Fidelity" on the cover of the October, 1989, issue. High Fidelity was founded by Milton B Sleeper, a noted radio designer and publisher and began with a technical emphasis which soon broadened in to all aspects of consumer audio and recordings. Audio Magazine db magazine. Sound engineering journal. Late 60's to 1994.